Discussion in 'News & Events' started by Carnefix, Apr 17, 2019. 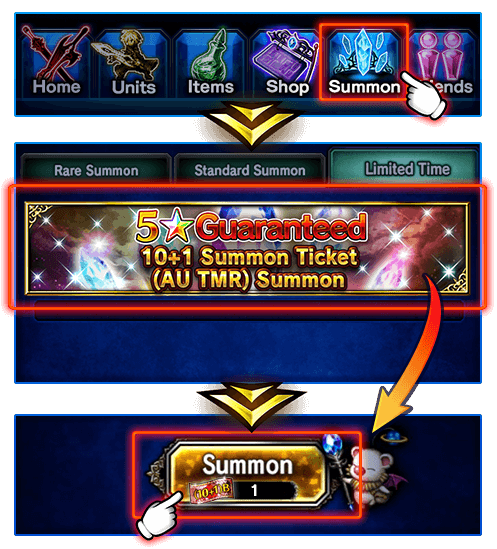 Head over to the Summon screen, select the Limited Time tab, and tap on the 5★ Guaranteed 10+1 Summon Ticket (AU TMR) Summon banner. This isn't as full of nope as the other one but still..
Kuuro and Seven like this. lol, it's probably going to cost like 50 dollars to get this bundle. I need one more Jecht for 7* and one more Wilhelm for his STMR but no way am I buying this. Nope to all of these. Ur bundles are priced at the cost of full or even discounted complete games. Be realistic with microtransaction prices if you want me to open my wallet.